I collected clocks as a kid and my love for the ticking and tocking has never died. 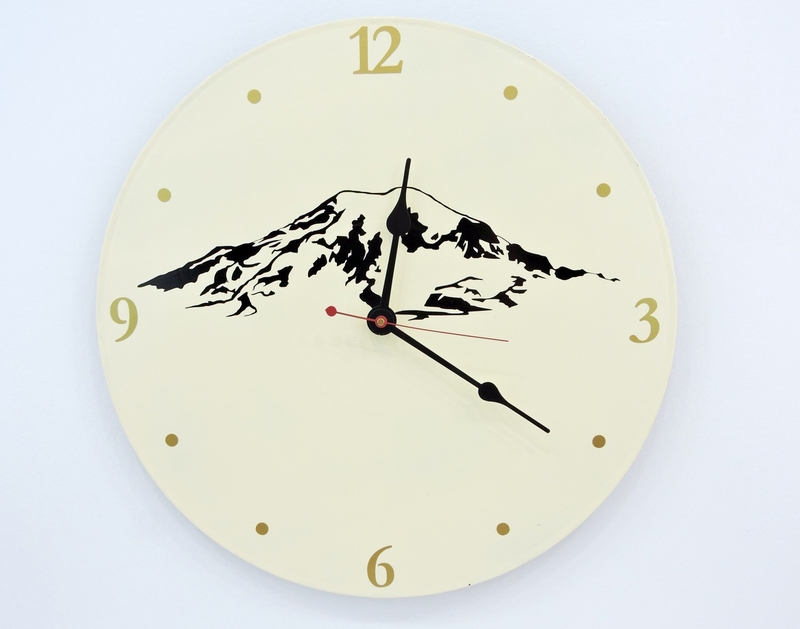 A few years ago I was looking for a clock for our home; I wanted something fun and original. I didn’t find anything that struck my fancy, so I set out to make my own. Since then I have learned how to combine my love for printmaking and painting with my adoration for functional art. I started out using wood for the dials of my clocks, when my scrap pile of wood ran out I went looking for alternative material. It was not long before I settled on old record albums. I'm giving new purpose to old technology, and turning it into functional art. I make a habit of only getting my lp's from record stores that have already pulled out the "good" ones. This way I don't reuse something worth more than the piece of vinyl it is. I work out of my home studio. I am a one woman band you might say. I do the design work, production, marketing and packaging all myself. Of course I could not do it all without the support of my loving husband, wonderful friends, and loyal fans. 5 out of 5 stars Great present for my husbands music room! The quality is great and it shipped fast. Very pleased! 5 out of 5 stars I love this clock! It is very well made and looks amazing in my apartment! The artist is very creative and good at what she does! The packaging the item arrived in was also great! Highly recommended! 5 out of 5 stars Wow! I can't say enough about how happy I am. This is my 2nd custom purchase from this seller. She is awesome! Easy to work with, excellent communication, fast shipping. 5 out of 5 stars Perfectly completes our hot air balloon corner in the kids' playroom. 5 out of 5 stars I absolutely LOVE my clock! Excellent communication with the seller. I'm 100% happy with my purchase. 5 out of 5 stars Absolutely beautiful work, and speedy shipping. Highly recommend! 5 out of 5 stars This is such a beautiful and unique clock! It's easy to see that a lot of diligence and creativity went into it. Thank you for the fast shipping as well! I also appreciate the upcycled packaging. A+++!! 4 out of 5 stars This was a gift. It looked even cooler when I received it. I loved it but haven't heard feedback from recipient. 5 out of 5 stars Many thanks for the clock! It is so nice! Colors matched very well and our family photo on it completes the look! Well done! Love the custom wall clock for my baby's nursery. I was part of the whole process and was kept updated with the progress of my order. Shipping was very fast as well which was a bonus! Not just a clock, a beautiful piece of art. Working with LaurelsArt to customize the colors was a pleasure. Received on time and was exactly what I expected! 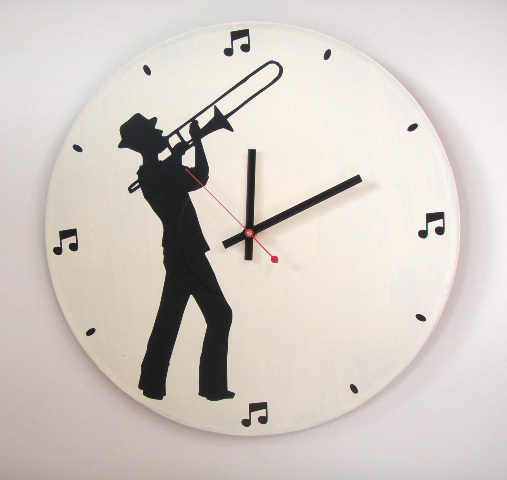 Very cool gift idea for a dear friend and fellow musician--she loved it and it's in her music room in her new home. Very pleased! 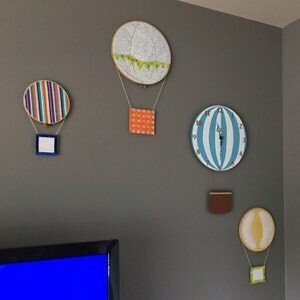 Absolutely love this wall clock for my daughter's hot air balloon themed nursery! So unique, great quality, perfect size and very fast shipping! Thank you! "So cute!! I purchased this as a Christmas gift and I can't wait to give it! It came super fast with track able shipping so I knew where it was on its way to me. Packing job was wonderful and the unique album box for the clock is like the cherry on top! So neat! 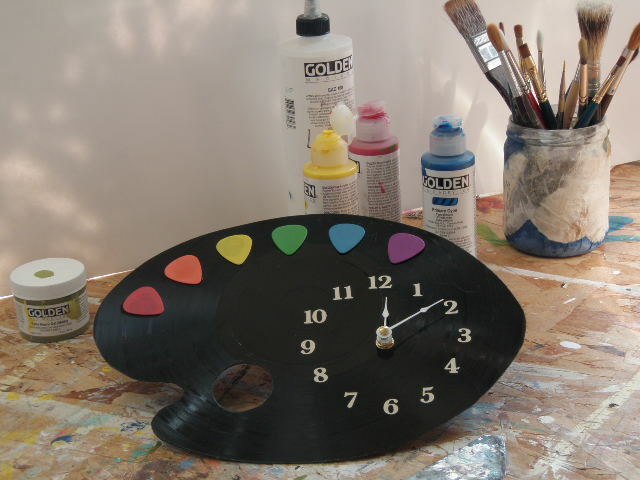 The clock looks great, there are some scratches on the record to add character. Plus it came with the AA battery to run it! I can't wait for Christmas! Worth each penny." 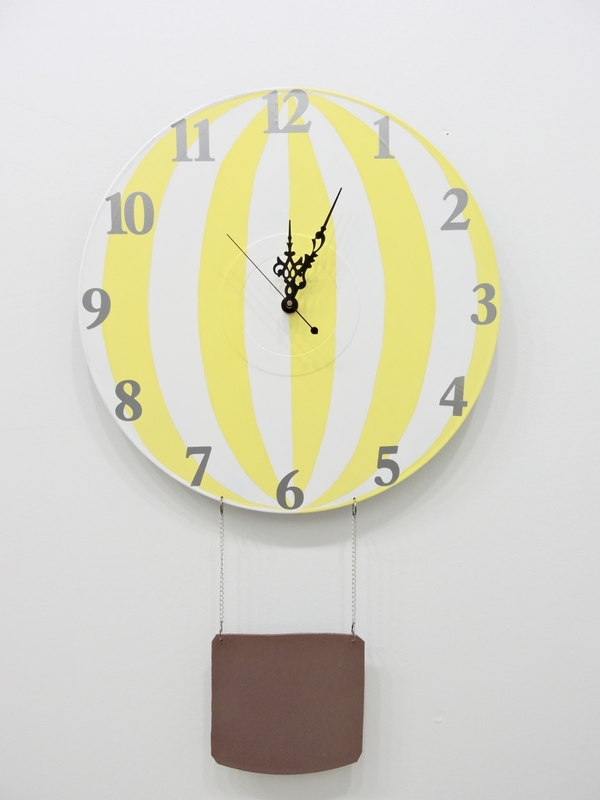 "She even included a battery with the wall clock I ordered! Very nice!" "This item was fantastic and arrived so quickly!!!!! Many, many thanks from a very happy customer. ++++++"
"This clock is amazing! I can't wait to give it to my boyfriend!" "Came fast after I ordered it. It's in my preschool classroom and the kids as well as myself LOVE this clock!" 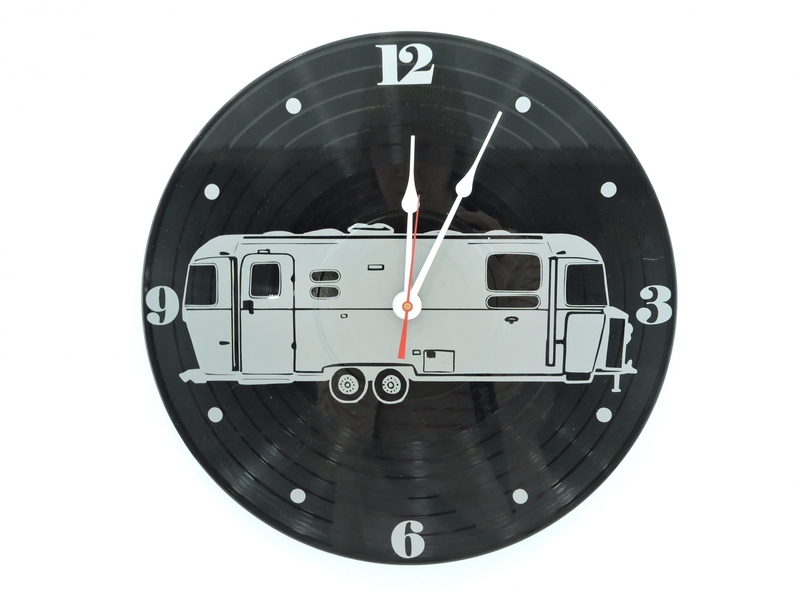 "Very prompt shipping and an amazing looking clock. Given as a wedding gift, and they loved it! Thanks :)"
"Super fast shipping, fantastic packaging! A+++++++"
"So wonderful clock! It's already on our wall! Thank you for the great service and communication!" 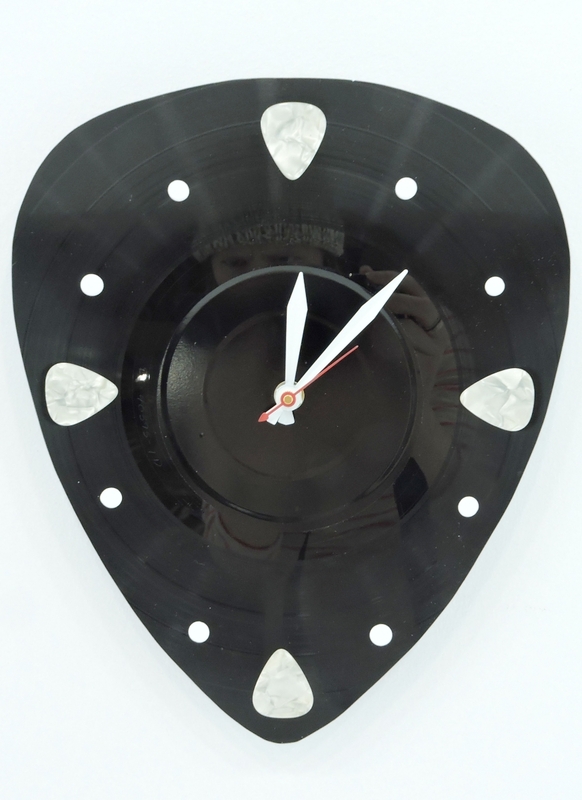 "I purchased this clock for my husbands birthday to put in his music room, he absolutely loved it. He has showed it off to every person that has come through our house and is constantly checking the time on it even if it is in the other room at the time. I was very impressed by it as well and would definitely buy from this shop again." "I apologize for taking so long to leave this feedback but I had this clock sent directly to my son for his birthday and waited for his feedback. Mind you, he is not very easy to buy for as it seems his only 2 interests are golf and music. He is an avid guitar player and golfer so he is extremely particular with what supplies, etc. he uses. He LOVED the clock!! He said it was so unique and he couldn't believe that someone made it! He also didn't realize it was on an old LP until he was hanging it on his wall! That made it even more special to him! So, thank you very very much for helping me find something for his birthday, let alone something he LOVED!!! ♥"